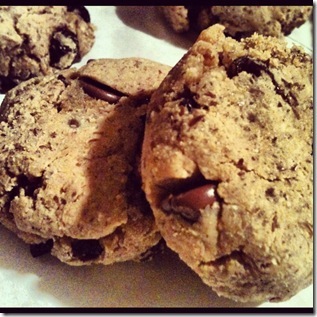 These cookies are NO SUGAR ADDED, GLUTEN FREE, DAIRY FREE, & packed with POWER, duh! Let cool, if you’re patient enough & ENJOY! I found this awesome recipe at: http://powercakes.net/ which is a blog from Kasey Arena who among other things happens to be gluten free. Thank you Kasey!